Residents of a small village located in eastern Turkey's Elazığ province started a fundraiser to provide shelter and food for the stray cats that are left in the streets during the winter months. In Elazığ's Beyelması village residents collect money between themselves after every Friday Prayer during the summer when most of the residents are in town. The village is home to over 1,000 residents in the summer but the majority leave before the heavy winter season begins, leaving many cats starved and out in the cold. Resident Naim Akbaş said that most animals are left stranded in the street when most of the residents leave for the big cities for education and employment purposes. In summer, nearly every home provides care for the stray cats, and in winter the money collected by the community helps pay for their necessities. "That is why we collect money as part of a fundraiser after every Friday prayer. Our people are very generous in that sense," he said. Akbaş said that village has collected 2,250 Turkish liras ($353) this year so far for some 50 cats and 50 dogs staying in the village. 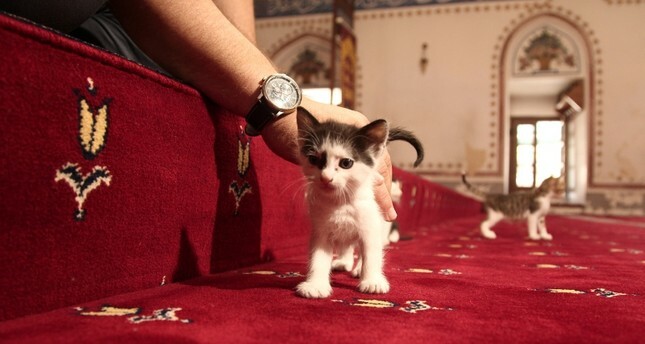 Surrounding villages also contribute to the fundraiser and bring their pets to Beyelması during winter. Resident Kamil Ateş said that the animals needed protection during winter and that it was their duty to help. "In that sense, our village is a good example for Turkey. We condemn the acts of torture and bad behaviour happening to animals which we have been seeing on television recently," he said.